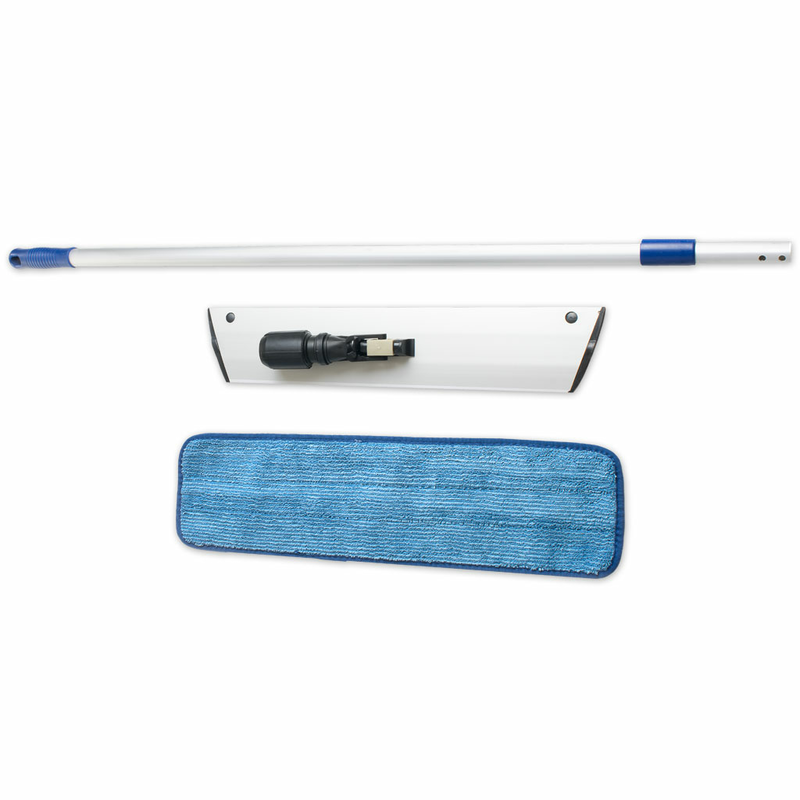 Durable, adjustable 17 inch mop base with 19-inch flat microfiber mop pad. 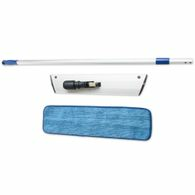 High quality, commercial grade mop set works hard through lots of cleaning use. Mop pole assembly is easy to adjust with just a twist of the handle for users from short to tall. 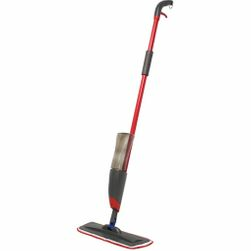 The 17 inch Mop Frame & Handle is good for home cleaning jobs and commercial cleaning jobs. 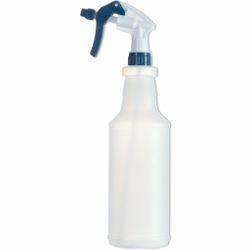 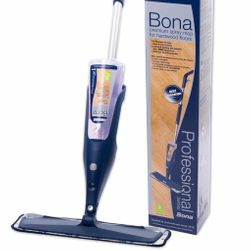 Articulating base makes cleaning in corners and under furniture easy. 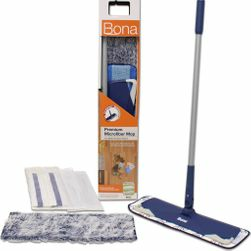 Comes with a 19-inch microfiber mop cleaning pad that can be machine washed. 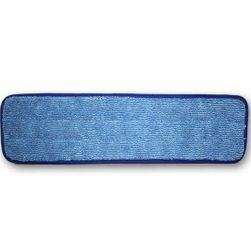 Air dry mop pad for best results cleaning your floor. 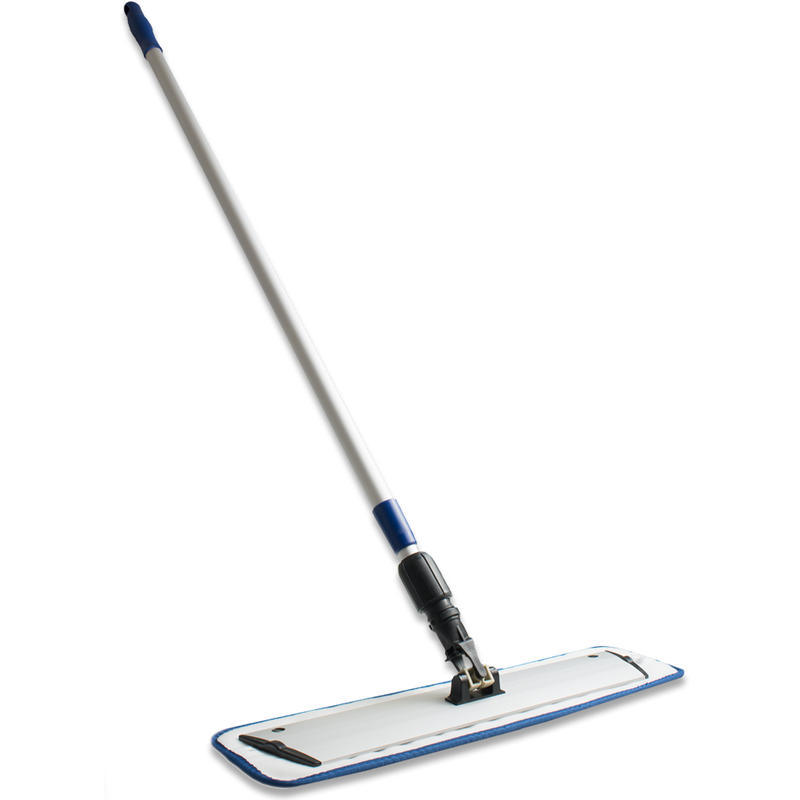 For large flooring areas consider the 24 inch commercial mop and pad.